This is the best dinner roll recipe. There I said it. I stand by it. I won’t take it back. My family is a bit of a connoisseur of all things bread. It’s my dad who takes 20 minutes to pick out a loaf at the grocery store. My brother who is picky with all food. And then there’s me who will only eat rolls when they are really, really worth it. 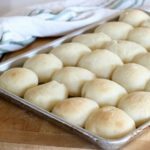 So when I started making these amazing homemade dinner rolls, they were a regular request at all holiday meals. The rolls taste like air. Let me rephrase that. They taste like airy butter. Why would I want rolls to taste like airy butter? It’s all about being efficient with a delicious meal. 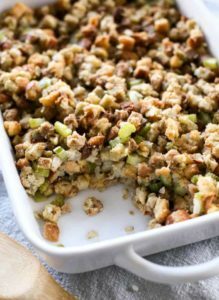 I don’t particularly like rolls taking up too much space in my stomach since they typically accompany an amazing meal for the holidays. Having a fluffy, airy and soft roll is the perfect compliment to the heavier sides that we call dinner. Now I will be the first to share that I don’t make these on a busy weeknight. 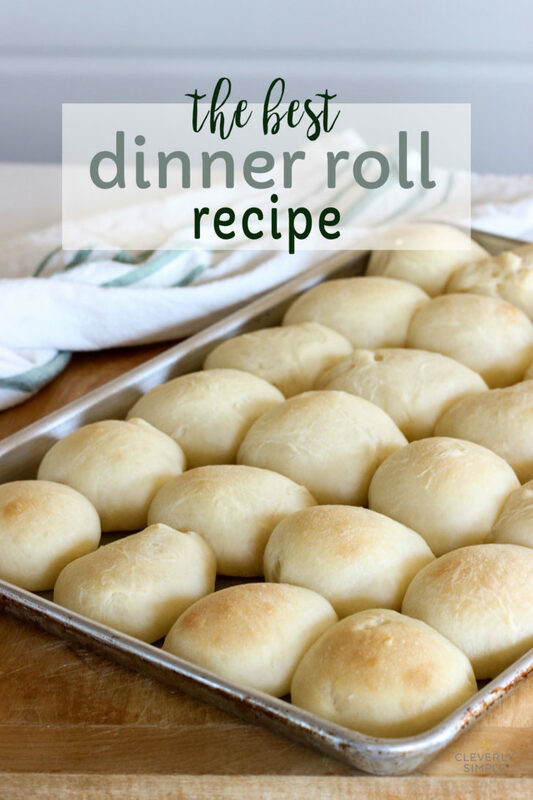 They’re not the overnight rolls or no rise rolls or easy throw together rolls recipe. 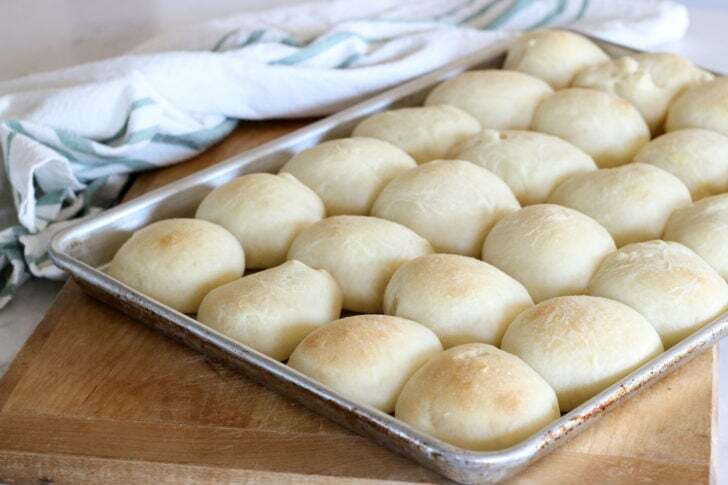 They are made from the best dinner roll recipe and that means they take a bit of time to let the yeast rise so you can enjoy their soft qualities. But they are easy. That they are. I make the dough in the bread machine because I haven’t yet conquered the ability to knead to perfection. And let’s be honest, it’s so much nicer to throw all the ingredients into a bread machine to make it do all the work. Now if you don’t have a bread machine, be on the look out for one. My machine broke last year and I found it’s replacement at a garage sale for $20. It had not been used. 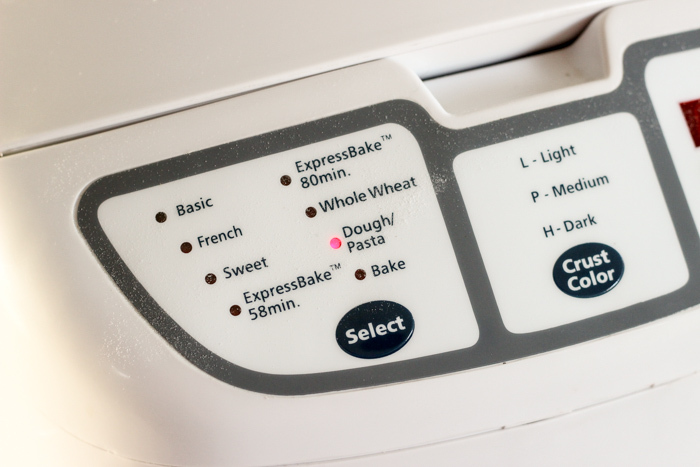 So, if a bread machine seems out of your budget, just keep an eye out for one. It’s worth the investment just for these rolls. Have I sold you on them yet. We’re a bit obsessed. 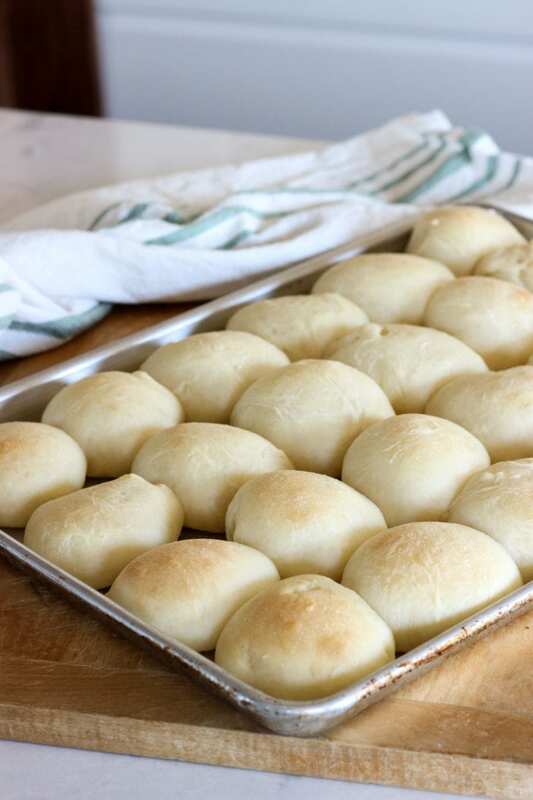 To make these dinner rolls add the milk, egg, sugar, salt, bread flour and yeast to your bread machine. I would follow your manufacture instructions on the order. But if you’ve lost that trusty pamphlet, the order listed above works just fine as that’s how I add it to mine. 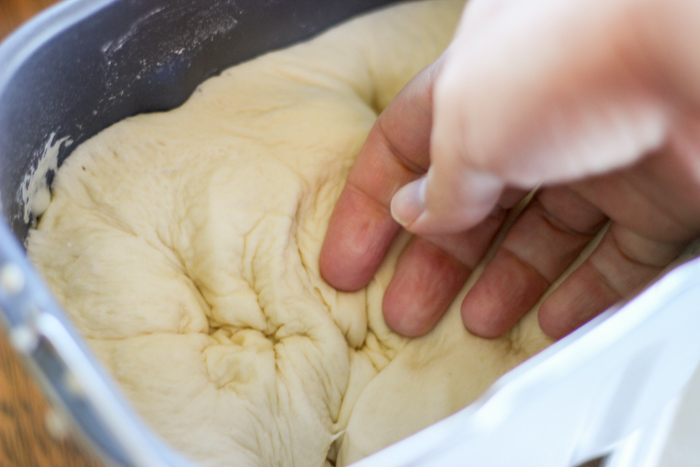 Turn the bread machine on to the dough cycle and let it do the work. Once it’s finished, punch down the dough. Let all that aggression out. Melt the butter. Take about a golf ball size of dough and roll it within your hands. 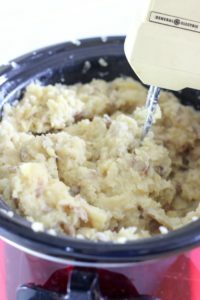 Dip it and roll it around in the melted butter and then place it on a buttered baking sheet. Place the rolled dough on the baking sheet. Let’s pause to talk about baking sheets otherwise known as cookie sheets. You need a light pan for a light and fluffy roll. If you have a dark pan your rolls are going to crisp up on the button. If you like that sort of thing, then go for it. But if you want the soft roll that I’m sharing today you’ll need a light pan to bake them. I use this pan. Cover them with saran wrap that you’ve sprayed with cooking spray to keep them from sticking. My little trick is to turn the oven on to 350° F before putting the rolls into the oven. Let the oven heat up for one minute only. TURN OFF THE OVEN and then place the rolls into the oven to rise. Let them rise for one hour or until they’ve risen in size. My kitchen is cold, especially in the winter which makes this oven trick all the more important. After they have doubled in size, remove the saran wrap. Heat up the oven to 350° F (for real this time). Bake the rolls for 9 to 11 minutes until they are just starting to brown on the top. Ovens tend to vary so keep an eye on them! That’s it. You have the best dinner rolls ever! 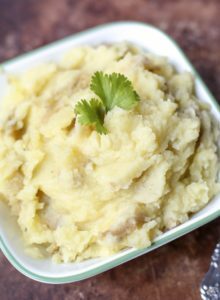 You can make these the day before (which is what I typically do) and enjoy them at dinner the next day. But of course, they are best warm out of the oven. Make sure to sneak one. 😉 Oh, so good. Enjoy! The perfect soft roll made with butter. 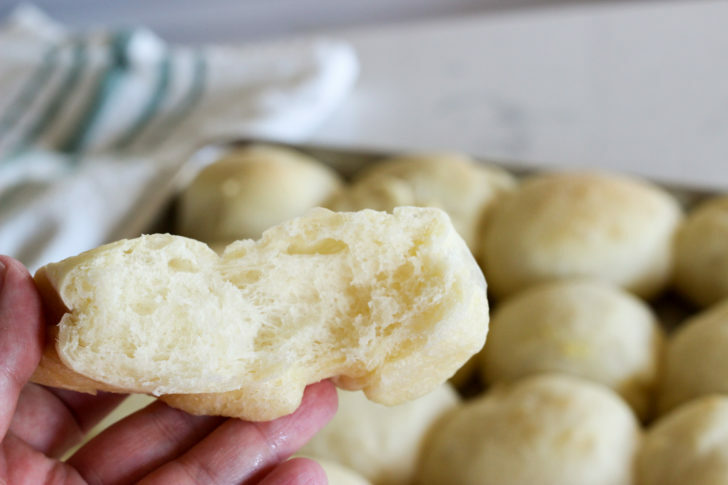 This really is the best dinner roll recipe – with the dough being made in the bread machine! 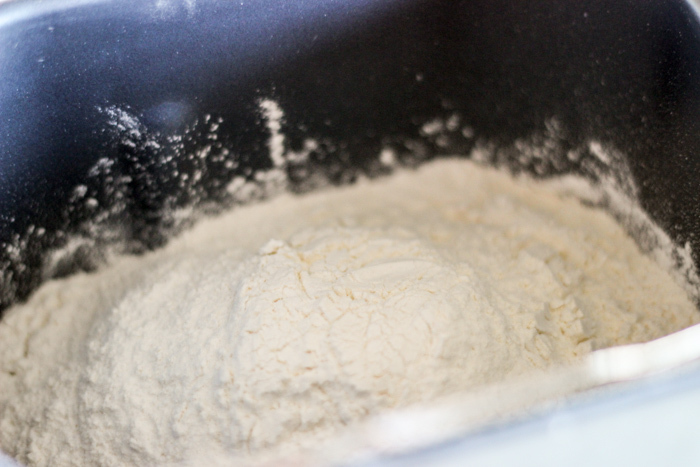 Into your bread machine pan, place the milk, egg, sugar, salt, bread flour and yeast. Select the dough setting. When the cycle is complete, punch the dough down. 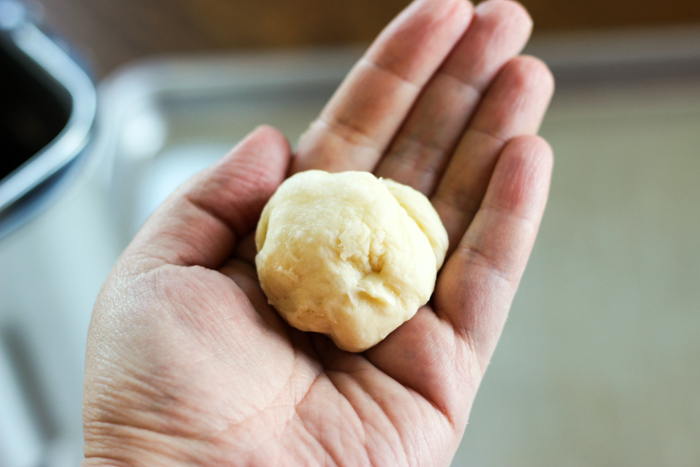 Create golf ball size dough balls and coat with melted butter. 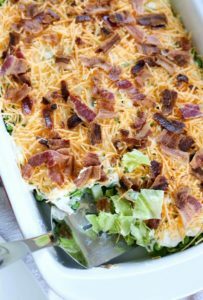 Place onto buttered baking sheet. Bake at 350° F for 9 to 11 minutes until just browning on the tops. 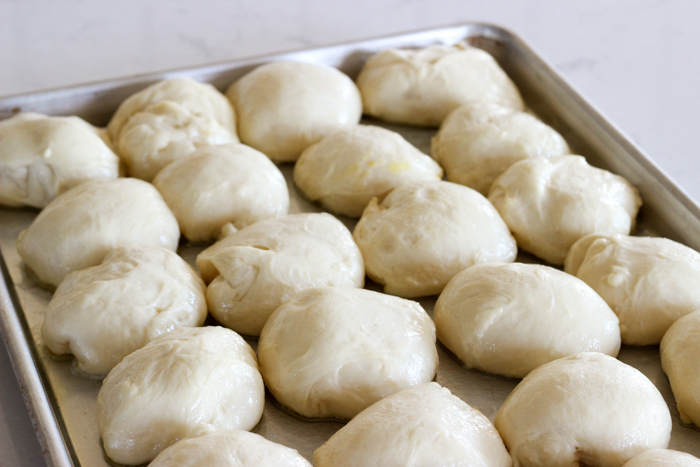 To let your dough balls rise in a warm place set your oven to 350° F for one minute. 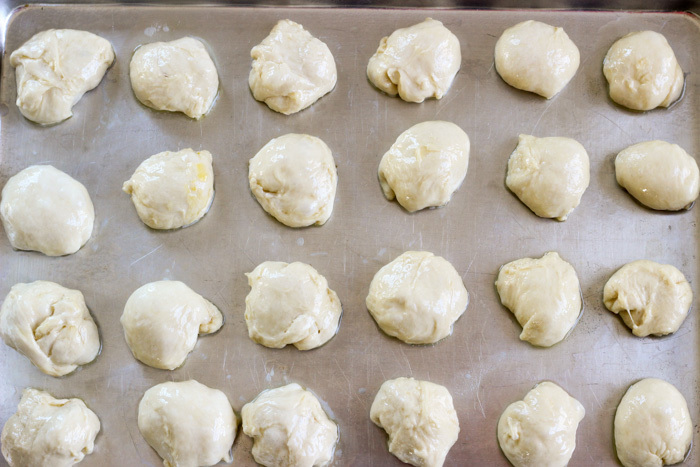 Turn off the oven and then place the covered dough balls in the oven to rise. Use a light colored pan to make the fluffiest rolls ever. Can be made a day ahead. Make sure to fully let the rolls cool before storing in an air tight container.